Alzheimer’s Association The Alzheimer’s Association is the leading voluntary health organization in Alzheimer’s care, support and research. Alzheimer’s Foundation of America The Alzheimer’s Foundation of America promotes care and services to individuals confronting dementia, and to their caregivers and families. Arthritis Foundation The Arthritis Foundation is the only national not-for-profit organization that supports the more than 100 types of arthritis and related conditions. National Osteoporosis Foundation The National Osteoporosis Foundation prevents osteoporosis and related fractures to promote lifelong bone health, to help improve the lives of those affected by osteoporosis and to find a cure. American Stroke Association The American Stroke Association is a division of the American Heart Association that focuses on reducing risk, disability and death from stroke. American Parkinson Disease Association American Parkinson Disease Association is the country’s largest grassroots organization serving the Parkinson’s community. National Parkinson Foundation The National Parkinson Foundation supports Parkinson’s-related research, patient care, education, training and outreach. American Diabetes Association The American Diabetes Association is leading the fight against the deadly consequences of diabetes and fighting for those affected by diabetes. American Heart Association The American Heart Association reduces disability and death from cardiovascular diseases and stroke by providing education, advocacy and publications. The National Anemia Action Council National Anemia Action Council is a nonprofit organization dedicated to improving the lives of people with anemia. American Lung Association American Lung Association is the leading organization working to save lives, improve lung health and prevent lung disease. Christopher and Dana Reeve Foundation The Christopher and Dana Reeve Foundation is dedicated to curing spinal cord injury by funding innovative research, and improving the quality of life for people living with paralysis. American Cancer Society The American Cancer Society is the nationwide, community-based, voluntary health organization dedicated to eliminating cancer as a major health problem. Eye & Ear Institute The Ear & Eye Institute is part of the University of Pittsburg Medical Center, serving health needs through redefined models of health care delivery and superb clinical outcomes. 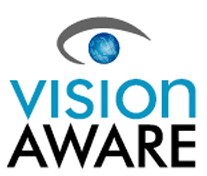 VisionAware VisionAware is a “Self-Help for Vision Loss” website that provides free, practical, hands-on information to enhance quality of life and independence for adults with vision loss. Hearing Loss Association of America Hearing Loss Association of America provides assistance and resources for people with hearing loss.